Action: antidepressant, antispasmodic, bactericidal, carminative, cordial, diaphoretic, emmenagogue, febrifuge, hypotensive, nervine, sedative, stomachic, sudorific, tonic. Benefits, Indications: Allergies, anxiety, asthma, bronchitis, chronic coughs, respiratory infections, cold-sore blisters, dyspepsia, depression, dysentery, eczema, fevers, hypertension, dyspepsia, insect bites, insomnia, menstrual problems, migraine, nausea, nervous tension, palpitations, throat infections, vertigo. Melissa oil calms the nerves and has excellent qualities in fighting depression. Its sedative effect is well documented. It helps in cases of hysteria and panic and helps to slows the heartbeat, eases high blood pressure and is a tonic to the heart while regulating the menstrual cycle, also helping with period pains. It can settle the digestive system, helps with nausea, flatulence, vomiting, dyspepsia and dysentery and has a cooling effect on fevers. It can help with headaches and migraines associated with colds. When treatment is started in the early stages, it can also be used as a topical treatment for cold sores (herpes simplex). Precautions: Melissa oil is nontoxic but could cause sensitization and irritation and should always be used in low dilutions. For this reason it should be avoided during pregnancy and by people with a very sensitive skin. 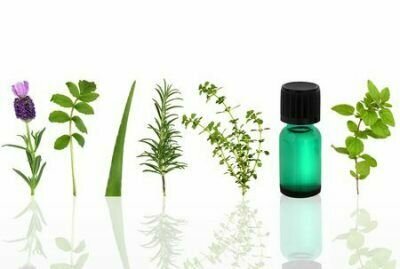 Assessment of Melissa officinalis L. essential oil as an eco-friendly approach against biodeterioration of wheat flour caused by Tribolium castaneum Herbst.